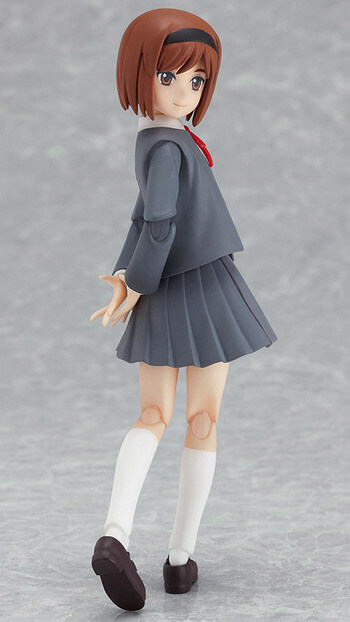 September 28th, 2012 By: GGT Category: 2013/01 release, 2013/02 release, Figure News. 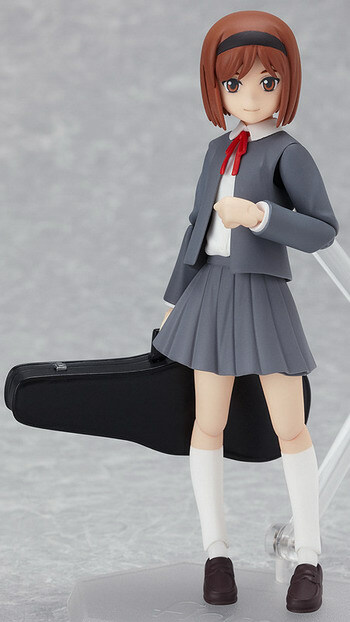 Max Factory is going to release the figma 164 Henrietta ( ヘンリエッタ ) action figure from the manga/anime “Gunslinger Girl” ( ガンスリンガー・ガール ). Will be released in January (February for the Dengeki edition) 2013. 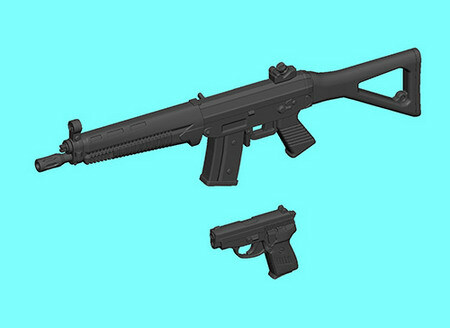 Around 123mm tall, 3,620 yen for the standard edition, 4,200 yen (taxed in) for the Dengeki Daioh mail-in exclusive weapon set ( 電撃大王通販限定特典武器セット ) edition. Beside the standard edition, there will be Dengeki Daioh mail-in exclusive weapon set edition available. 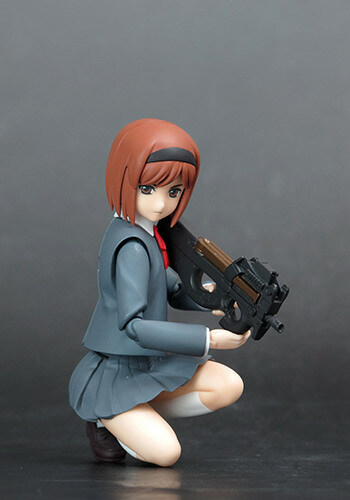 Beside the FN P90 that will come with the standard edition, it will come with a SIG SG551 and a SIG SAUER P239 as well. For those of you who want to get the Dengeki edition, you need to order it with the order form that comes with the Dengeki Daioh Vol. 11 2012. The kind-hearted cyborg girl, living each moment to the fullest. 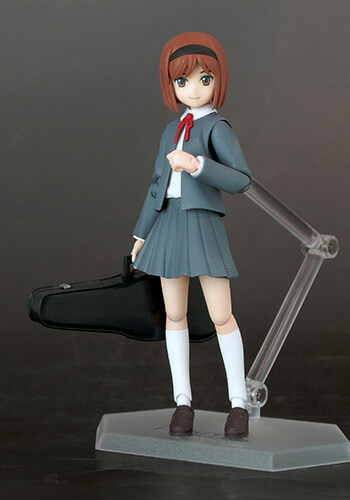 From ‘GUNSLINGER GIRL’ comes a figma of the cyborg heroine of the show, Henrietta! 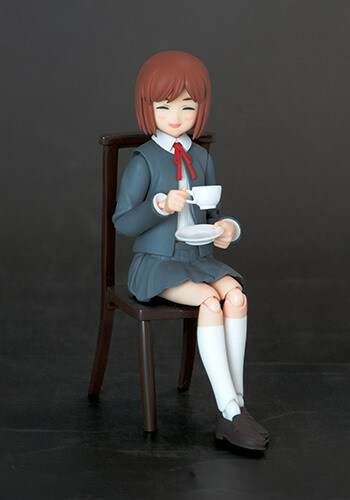 She comes with three expressions including a standard expression, a gentle smiling face and a serious face for missions. 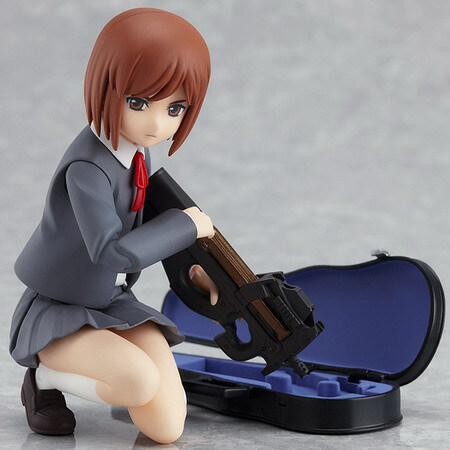 Her favorite machine gun as well as a violin case to store it in are both included. 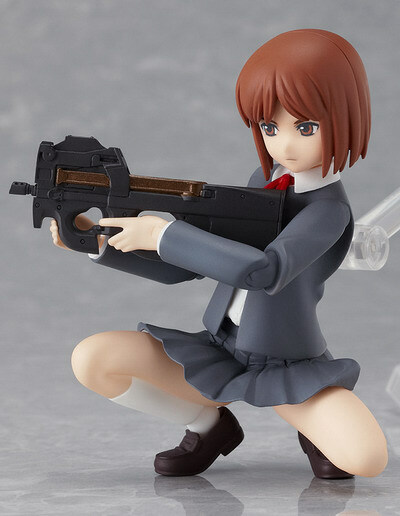 Special parts that allow you to pose her crouching down for action poses are included. 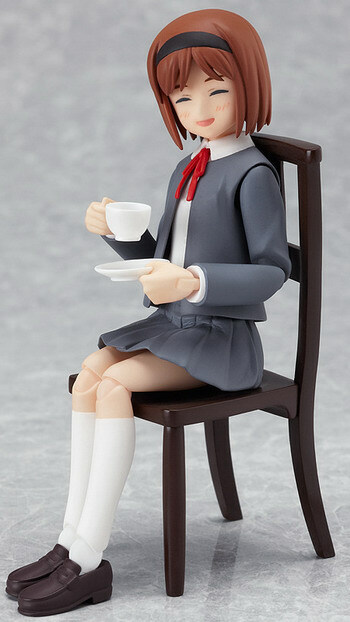 Various parts allowing you to recreate the more relaxed side of her life are also included, such as a chair, tea set, Alice band and alternate skirt.